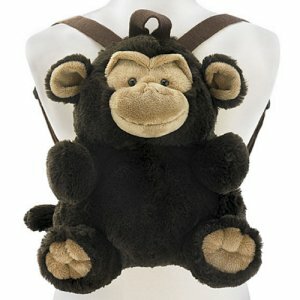 KOKO The Monkey Back Pack  - $7.00 : Big City Market, Big City Market Delivers it All! KOKO The Monkey Back Pack is part of the Carry Along Club collection. This cute Monkey plush backpack has a zipper in the back of the head to hold treasures, snacks, or whatever is needed to get your child ready for a busy day. Measures 13 inches H X 12 inches W X 7 inches D. Great as a gift.